Durability and energy efficiency are two advantages to owning a dome home. Not only is a dome home earthquake, tornado and hurricane resistant, but because they have minimal surface area for the volume they contain, there is less surface for heat transfer with the outside air. The one-piece construction of a dome home also eliminates many of the seams through which air can leak. Building a dome home underground has the added energy efficiency advantages of earth sheltered homes. The techniques used in dome design and construction are very different from normal construction methods. Additionally, building concrete dome homes can require the use of heavier construction than conventional homes, so contacting dome home builders with experience in this particular type of building is essential. BE Structural has experience engineering dome home floor plans and designing custom concrete dome structures. If you are interested in living off the grid in Texas, Pennsylvania, Michigan, or Colorado, fill out the form on the right today to start a conversation about your unique dome home plans. You can also call us at 1 (866) 682-2693 or email info@bestructural.com. For the Henry Residence, BE Structural designed a thin shell, underground concrete dome home. The residence consists of a 24 foot diameter by 24 foot long barrel vault with a 24 foot diameter dome at the rear of the structure. A tunnel is attached to the dome allowing for a secondary entrance/exit to the home. The structure is comprised of a thin, concrete shell. 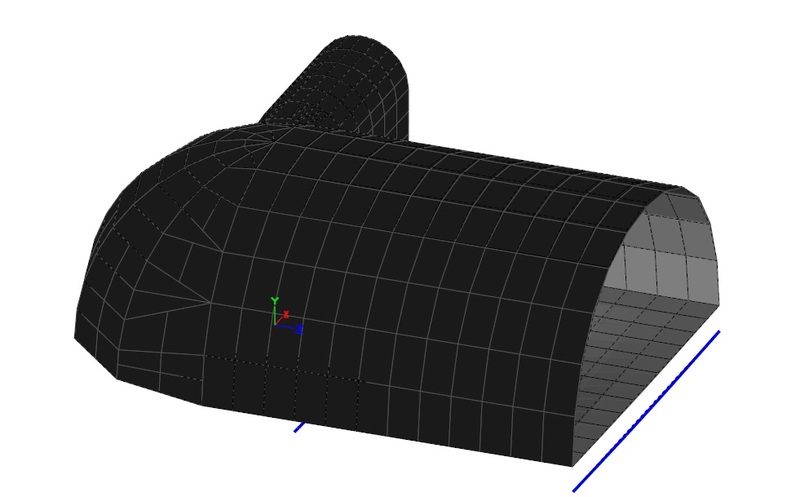 A 3D model was created to effectively calculate the stresses in the concrete shell at all points. Structural calculations were performed to ensure the thickness of the concrete shell and proposed reinforcement are sufficient for the various loading conditions. The perimeter footings were checked for adequate bearing pressures. All details were reviewed for structural integrity and serviceability factors including water infiltration and energy efficiency.